Angeliki was born in Long Beach and current lives in Stanton. 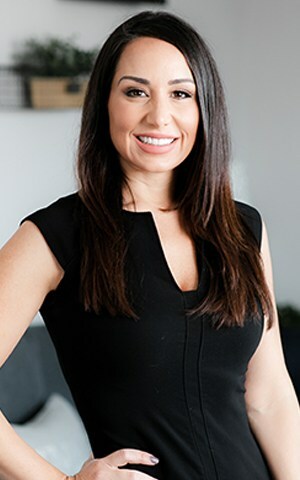 She studied at Cal-State Fullerton and has also pursued continuing education through various webinars so that she can stay up-to-date with new developments in the dental field. Today, her career in dentistry spans over a decade! 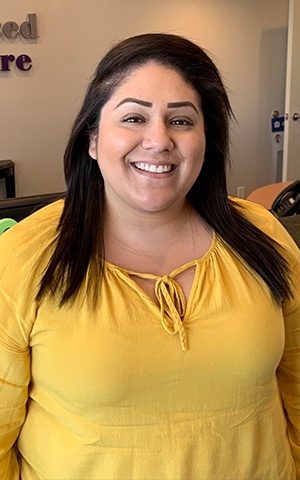 What she enjoys most about her work is helping people achieve the best oral health possible and also getting to interact with them on a very personal level. Angeliki has been married to her husband Ivan for several years now. In her free time, she enjoys watching sports (Go Lakers!) and visiting Homegoods. She’s also starting to study interior design through online courses. Libby has been a member of the Advanced Dental Care team for five years and counting. She earned her Bachelor of Science in Neuroscience from the University of Southern California before completing a Master of Science in Regulatory Affairs from Northeastern University. Whether she’s welcoming new patients to the practice or having fun with the other staff members and doctors, it’s the people she’s surrounded with that help make her job so amazing! She goes out of her way every day to create a comfortable environment for visitors that they want to return to again and again. When it comes to what the secret is to a great smile, she believes proper care is the key. If you brush, floss, eat right, drink right, and see your dentist regularly, the recipe’s right there! 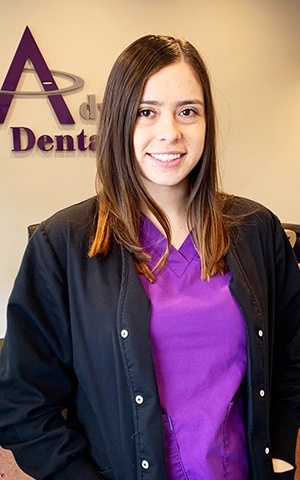 Most of Libby’s family members are in Michigan and Florida, so the Advanced Dental Care community has truly become like a family to her over time. Her hobbies include traveling, sampling great food and wine, and comedy. She is also a total morning person and loves waking up before the rest of the world when it’s quiet. You can often find her listening to music and working out in the early hours of each day. She can’t wait to meet you and become your personal advocate for health and happiness! You will certainly leave our office with a new group of amazing friends. Kim has been a member of our dental team for over three years now. Originally from Westminster, she attended Cal State in San Bernardino before studying dental hygiene at West Coast University. Today, what she enjoys most about her job is being able to educate patients about their oral health. It is very important to her that they learn what is going on inside their mouths and how to best prevent periodontal disease! Kim comes from a large family of six who are always loud and in each other’s business – there’s never a dull moment! Her favorite hobby outside of work is scrapbooking her memories so she can go back and reminisce later about the good times in her life. Additionally, she enjoys traveling, doing yoga, shopping, and watching shows on Netflix. She came to the United States from Vietnam at a young age and can still speak, read, and write the language fluently. 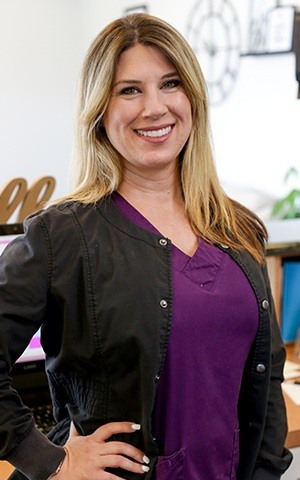 Misty has been working in the dental field for several years now, and there’s nothing she enjoys more about her job than getting to know and help her patients. She loves the “ah-ha!” moment they have after she explains what’s going on inside their mouth. For her education, Misty has attended Cal State in Northridge, College of the Canyons in Valencia, and West Coast University. She has also received certified training in lasers and advanced continuing education in Invisalign and sleep disorders as well. She can’t wait to provide YOUR idea of a perfect dental experience! Misty is from Acton and recently married the most amazing man in the world. They are the proud parents of a rescue dog from Tijuana named Chika and look forward to having human children as well within the next few years. Her hobbies include camping, scuba diving, snorkeling, crushing PCH with their junker of a Jeep, visiting dog beaches, watching her husband surf, scrapbooking, doing arts and crafts, throwing themed parties with really cheesy (but fun!) games, using Amazon Prime way too much, and sleeping in. She also plays the piano! Lisa has been a member of the dental care world for nearly 15 years now. She completed her Associates of Science and RDA certification at Cypress College before studying dental hygiene at Concorde College. 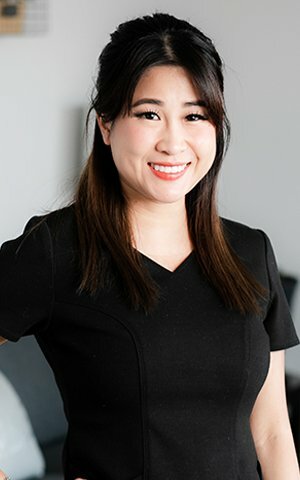 She is certified in laser dentistry, first aid, and CPR while also being a current member of the American Dental Hygienists’ Association and California Dental Hygienists’ Association. Her favorite part of this position is the patients – she really looks forward to having conversations with them and building such strong relationships over the years. Being able to contribute to someone having a healthier, happier smile is also amazing. 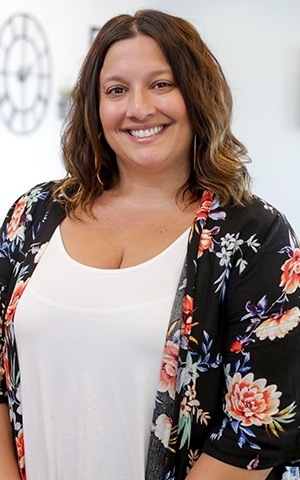 Originally from Los Alamitos, Lisa has a wonderful, loving husband named Stefan and two beautiful, crazy boys named Ethan and Westin. In her free time, she enjoys collecting makeup, exploring fun, child-friendly places with her family, going to the beach, swimming, and watching a good show/movie on Hulu or Netflix. She also cannot, under any circumstances, miss an episode of The Bachelor. Ivy has been a member of the Advanced Dental Care family for nearly five years and counting. She completed her undergraduate education at California State University Fullerton before graduating with her Bachelor of Science in Dental Hygiene at West Coast University. She is certified in laser dentistry as well. What she likes most about her job is being able to make an impact on someone’s health! For her, the secret to a great smile is to be as proactive about preventive care as possible, which includes attending regular checkups and cleanings. She treats all patients like friends and family and would love to welcome you in soon. Ivy was originally born in Vietnam but grew up in Orange County. She has two children at home. 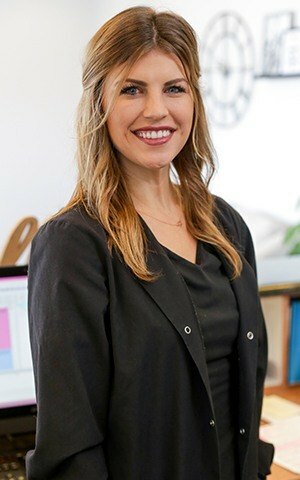 Outside of dentistry, her hobbies include spending quality time with family, going to Disneyland, traveling, and searching Pinterest for DIY ideas that she can recreate with her Cricut. She also owns a tea and boba shop! Jayme is our fabulous dental assistant. With over 15 years of experience, she uses her knowledge to make our office a warm and caring place. She enjoys building relationships with all of our patients. In her spare time, she enjoys being with her family and friends. 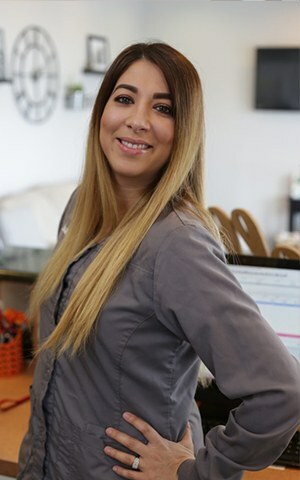 Originally from right here in Costa Mesa, Brittany has been working in oral healthcare for several years now. She is certified in X-rays, CPR, and coronal polishing. 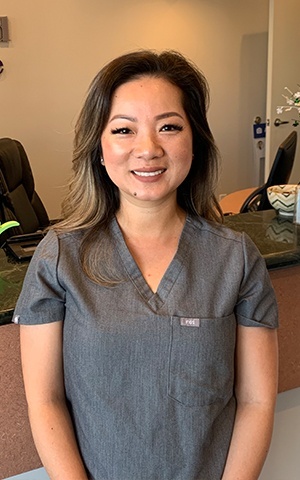 Her kind, caring nature is a great fit for Advanced Dental Care, and she loves answering any questions our patients may have and seeing them leave happy! Outside of the practice, Brittany’s hobbies include running, hiking, and doing pretty much anything outdoors. She believes that the secret to a great smile is simply being happy. 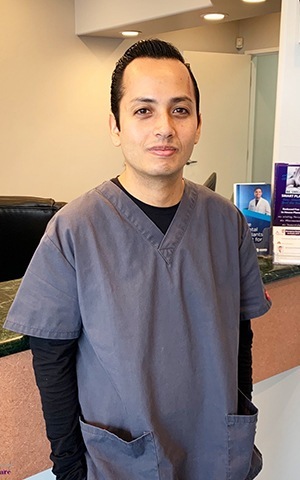 Kevin attended Concorde Career College for his education, and he is a Registered Dental Assistant. His calming presence goes a long way towards helping our patients feel genuinely at ease before and during the treatment process. He really enjoys interacting with lots of different people here at Advanced Dental Care and helping them smile. Originally from Westminster, Kevin’s hobbies include exploring new places, hanging out with his dogs, and paranormal activity. He also plays the guitar! Janet is a relatively new addition to our team, although she has worked in the dental field for a handful of years now. What she enjoys most about her position is being able to meet and interact with so many patients! She truly loves getting to know new people. As for her education, she attended Concorde Career College and looks forward to learning even more through hands-on experience in the practice.